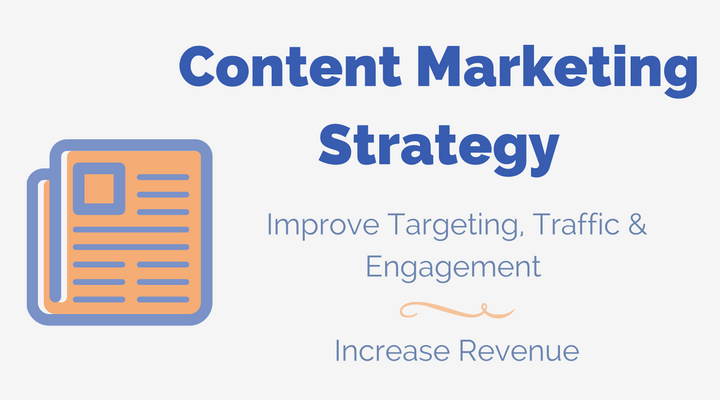 If your content marketing efforts aren’t driving the results that you’re after (increased traffic and conversions), it may be time for your business to have a professional content marketing strategy created to boost your efforts. Many companies overlook (or are simply unaware of) the data available to them, which helps to craft a content marketing strategy that is going to deliver results. Kern Media has created dozens of content marketing strategies for clients of all kinds (lead generation, E-Commerce, online publishers, etc.) and has the experience to drive the results that you seek. Learn about my approach below. Increase traffic from your content marketing efforts by targeting topics that are searched for by your target audience. Increase conversions from your content marketing efforts by providing a clear call-to-action (CTA) through your content marketing efforts. Expand your keyword ranking by having a keyword-targeting plan (based on data) and improving content quality to better compete in search engines. Improve ranking of your entire website by attracting links and social signals to build your link profile and overall ranking authority. Improve social sharing of your content by determining what works in your industry, improving content quality, increasing perceived authority, and making your content more shareable. Kern Media creates content marketing strategies for clients via a detailed process that ensures that your content marketing efforts are going to improve. Data is used every step of the way to ensure that your strategy is engineered for success. The starting point for any marketing initiative is knowing your audience. Kern Media can assist with creating detailed audience personas for your content marketing efforts. Industry-insider information can be culled from your staff and combined with data from Google Analytics and other online resources to create a complete picture of who your target audience is, what their objectives and pain points are, and how to solve them. Audience personas can be as simple or robust as you would like them to be. If you company already has audience personas, they will be reviewed and incorporated into the content marketing strategy. Once your target audience is established in a detailed manner, it must be determined how to communicate your brand story to them before you plan specific content efforts. What messages do you want to convey? How do you differentiate your brand from the competition? Get this right from the start, and you’ll improve your chances of connecting with your prospects when they engage with your content. Your content marketing efforts need to be aligned with goals. Your bottom line is likely to increase revenue, but how are you going to achieve that? Good content marketing strategies address different stages of the buying cycle with different types of content, and specific goals need to be aligned with users depending on where they are in their own stage of the buying cycle. Prospects who are early in the buying cycle may need to simply be made more deeply aware of the problems they are dealing with, and solutions that are available to them. They need to be further educated and nurtured before they will be ready to convert. Prospects who are later in the buying cycle may simply need to gain confidence in your brand in order to make a decision to do business with you. Prospects somewhere in the middle may simply need to be educated about which products or services are right for them. Keyword research (aka “topic research) is quite possibly the most important part of a content marketing strategy, as it helps to clarify which topics are most searched by your prospective customers or clients, and ensures that your content marketing efforts are aligned with them. Kern Media uses a number of tools (SEMRush, Moz Keyword Explorer, etc. ), depending on the client, to get the data needed to identify keyword gaps in your content marketing strategy. The keyword gaps are consolidated into a list of recommended topics for your staff to review and determine relevancy and viability. Once approved, the keywords will be added to an editorial calendar for more detailed planning and eventual content creation. Once the initial keyword research is complete, the keyword topics will be organized into an editorial calendar in order to provide a schedule for your content marketing efforts. 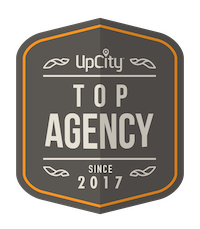 This organization helps to ensure that content is consistently created, and done so in a manner that will maximize visibility. Certain content marketing tactics work better in certain situations. For example, how-to content is often essential in hobbyist and technical industries. List articles and curated product recommendations are often essential for B2C E-commerce websites. For B2B lead generation websites, it’s common to see “why posts” and “what posts” driving interest and engagement. Knowing the content tactics that work in your industry is essential. All of the recommendations provided above will be organized and explained in a manner that can be understood and utilized by your team to improve your company’s content marketing efforts. Additional recommendations for inbound marketing tactics such as gated content, email acquisition, and marketing automation can also be provided to create a robust strategy that will nurture your prospective customers or clients during their journey. Your content marketing strategy will be customized for your specific needs by a seasoned professional with the experience that can help you meet your business goals. Ready for a Content Marketing Strategy? Start realizing the traffic and revenue growth that your company deserves. Take action and request a free consultation.